Suede finish 32cm steering wheel. Made from carbon fiber. Designed specifically to withstand the forces of Direct Drive OSW. Top quality components. New panel closed with 6 mechanical buttons with 2 aluminium guards, 2 switch levers, 2 Leo Bodnar’s rotary encoders with push button (CTS288V). Leo Bodnar’s SLI-PRO display, compatible with Fanaleds. Magnetic shifters. New internally reinforced design, more robust and better feeling. Made in Fiber Carbon 100%. 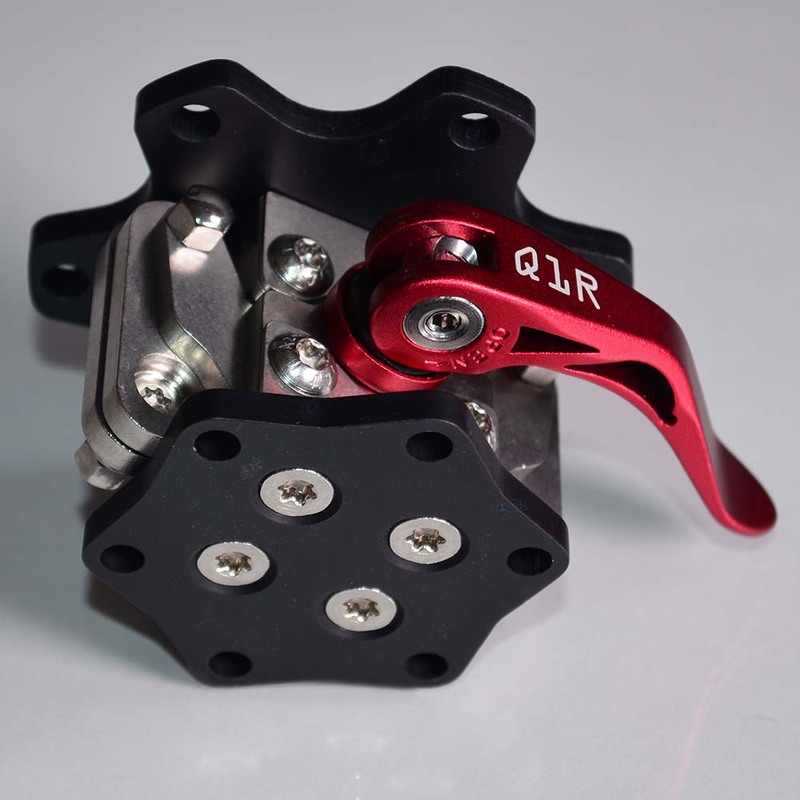 Steering Wheel SRC GT-1 PRO compatible with OSW (Mige 130ST motors) and Thrustmaster Base with these adapters: Quick-Release 3D OSW and Quick-Release 3D Thrustmaster. No clearances are generated, fully tested. Isolates possible EMIS. Shielded helical USB cable, ready to plug and play. 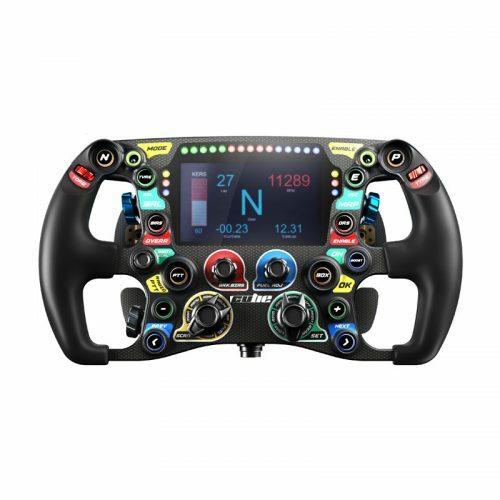 Steering Wheel SRC GT-1 PRO, ready to use. x6 M6x60mm screws. x6 M5 washers. x6 M5 nuts.